A new site that allows drivers to submit dashcam footage of dangerous driving has been launched. Called the National Dash Cam Safety Portal (NDSP), it has been developed by Nextbase and links motorists directly with police forces. Supported by road safety charity, Brake and Cycling UK, the national cycling charity, the not-for-profit site lets drivers send their footage directly to the relevant police force. The NDSP covers a range of road incidents including dangerous driving, using a mobile phone, driving without due care and attention, careless driving, overtaking on solid white lines, not in proper control, traffic light contravention or any other road traffic offence. There are an estimated 2.6 million dashcams fitted to cars in the UK, with drivers looking to protect themselves in the event of an incident. All 39 police forces in England currently have different methods of accepting video footage which vary from via social media to burning the footage onto DVD. Nextbase says confused variety of methods can result in clips being ignored and unprocessed. The NDSP site can accept all formats from different dash cam makes and models. Currently 19 police forces can accept dashcam footage directly with the remainder expected to follow soon. "Public cuts have led to road police numbers plummeting in recent years by nearly 50 percent, while casualties have increased among all road users," said Cycling UK’s Head of Campaigns and Advocacy, Duncan Dollimore. "Given that reduction in resources, it’s crucial that efficient and standardised online reporting systems are introduced to facilitate the submission of dash, bike and helmet-cam footage of irresponsible road use. Our police cannot be everywhere at once, but with Nextbase’s Portal we have the next best thing – a one-stop shop for the collation of evidence our forces can rely upon." 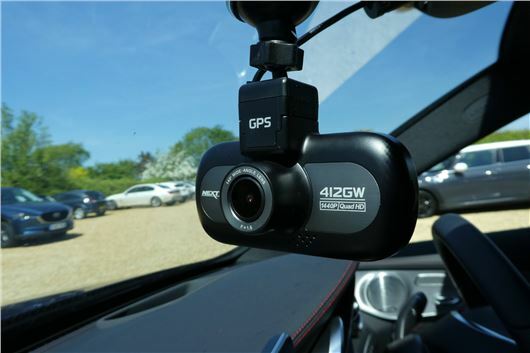 Heather Yates, from Halfords, which sells the largest range of in-car cameras in the UK, said, "This is a really positive step towards improving road safety and the NDSP will encourage safer driving. We’ve seen a surge in sales as drivers reach for in-car technology to capture instances of careless and dangerous driving. Not only do they help guard against dangerous drivers and ‘crash for cash’ scams, they can even help protect your no claims bonus. We hope that having one will soon become as standard as wearing a seat belt." Not in Scotland, I see. If there has been a serious accident or a driver with a dash cam suffers damage to their vehicle, then fair enough. BUT, "....any other road traffic offence"? Jesus! What sort of society do we want to live in? I'd suggest forwarding footage of the myriad of police vehicles that one sees with defective lights, or exceeding the speed limit without good reason. Let's see how far the police interest goes, without media coverage, of those "...road traffic offences". Makes one "proud to be British"! Anyone involved in this poison should hang their heads in shame, including Duncan Dollimore, (who should concentrate on cycling proficiency), Heather Yates, (who should spend some time with Orwell), and Nextbase themselves.